We had Mexican Fiesta #2 gosh about a month and a half ago? Or something like that? And I can’t believe I’m just now posting some pics! 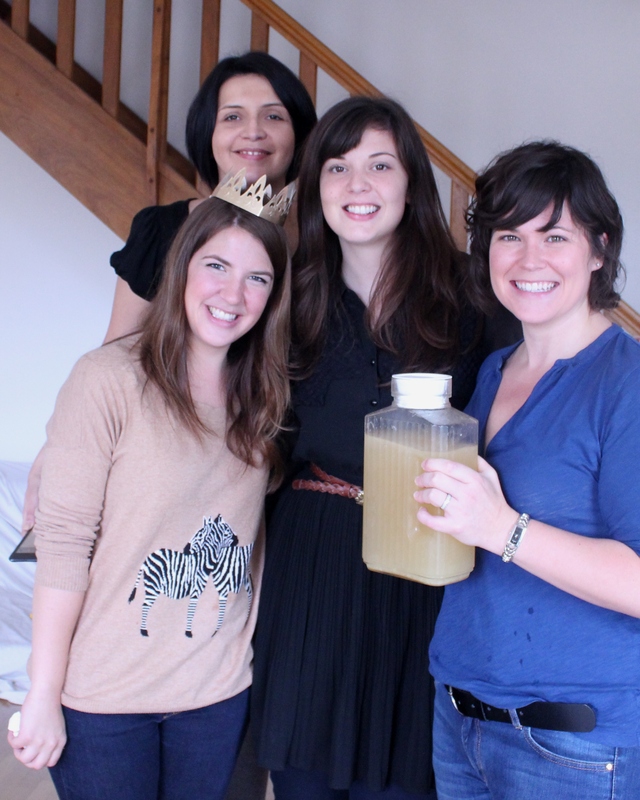 After a very successful first Mexican Fiesta, there was way too much recipe exchanging and #2 just had to happen ASAP. How could it not when you’re drooling over a Carnitas recipe and a new margarita recipe happens to pop up! 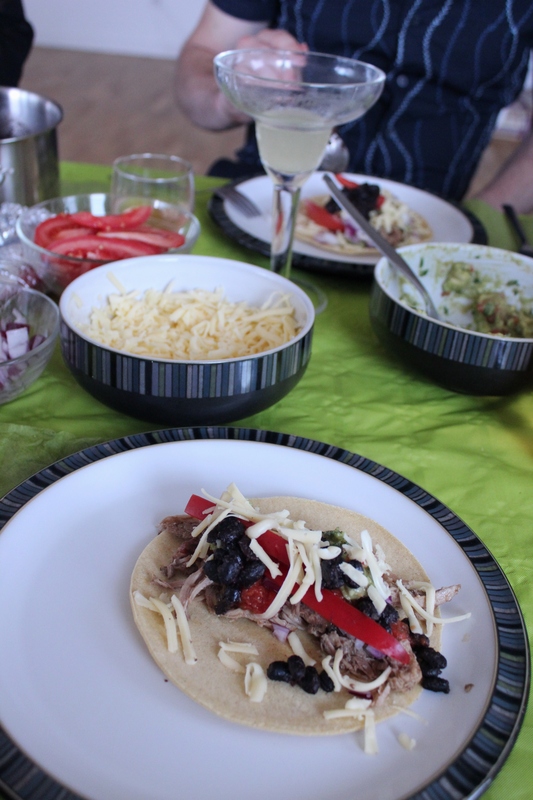 oh and quite a feast we had- This was the start of three tacos for me after a ridiculous amount of amazing guacamole. I love tacos! oh and margaritas!~lots of margaritas! 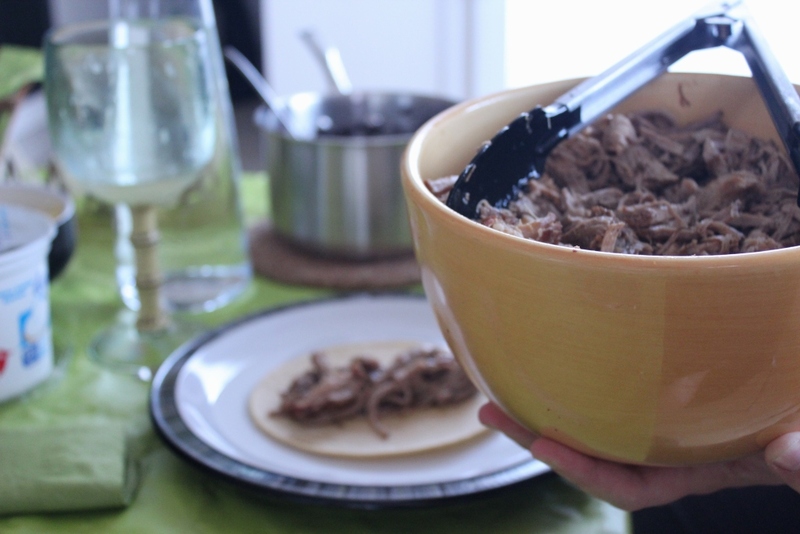 Jess had made the carnitas the day before (holy guacamole they were amazing!!!) and stewed a pot of black beans – one of the most difficult things to find here in France. oh I miss the days where I can have a couple cans of black beans on hand for any Mexican adventures that happen to come my way. 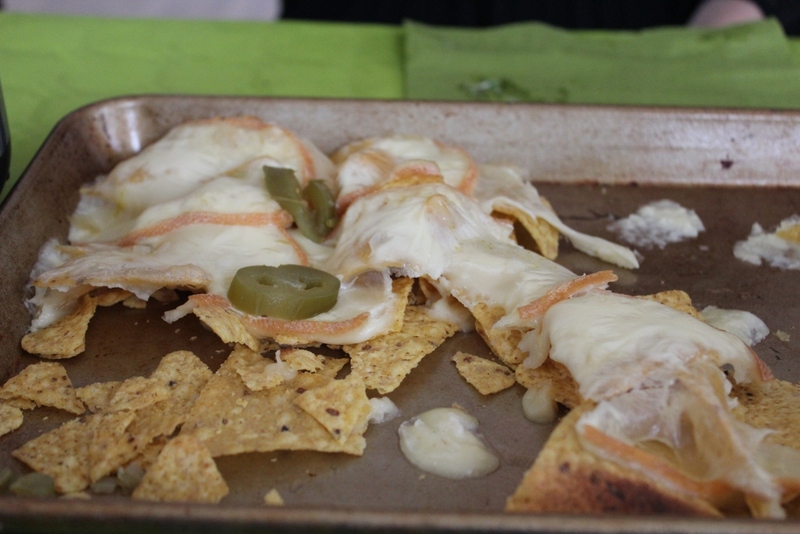 The raclette nachos made another appearance and were devoured along with an entire liter of salsa. oh and we can’t forget the corn tortillas!! 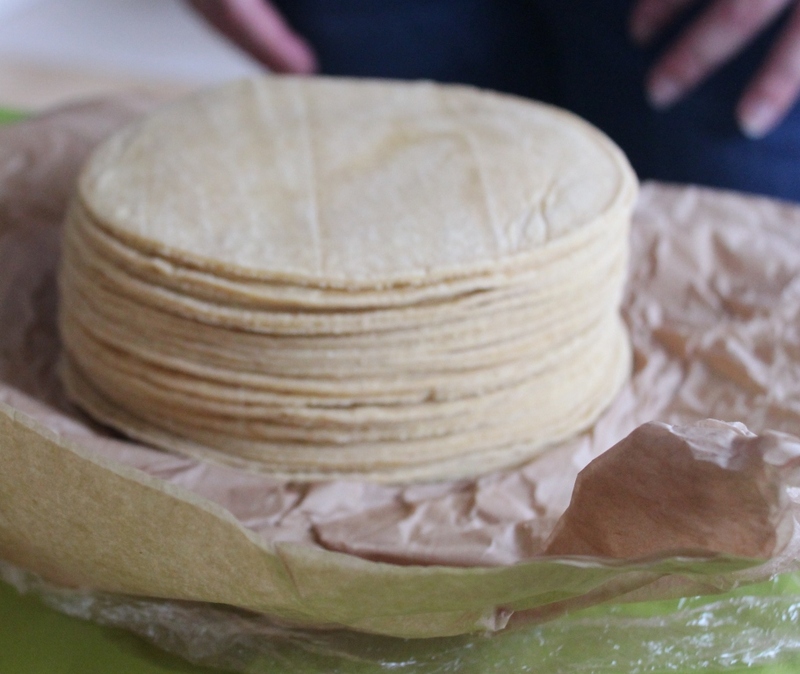 There is one place in Paris where you can order fresh tortillas and avoid the packaged one’s in the store with an expiration date 6 months from the time you buy them (scary..). It’s called Tortilleria Mil Amores. Orders have to be in by Friday afternoon, pick up is just on Saturday for a couple of hours in a hole in the wall apartment. I made guacamole. My fav!! Taste as you go (oh darn…) and adjust the amounts to suit how you like it! Some peeps love a ton of lime juice or a ridiculous amount of cilantro. We didn’t have jalapenos so we added some salsa to add a little kick/extra flavor. oh yes, and there was passion fruit raspberry tart for dessert not because it’s Mexican but because half of us are pastry chefs. 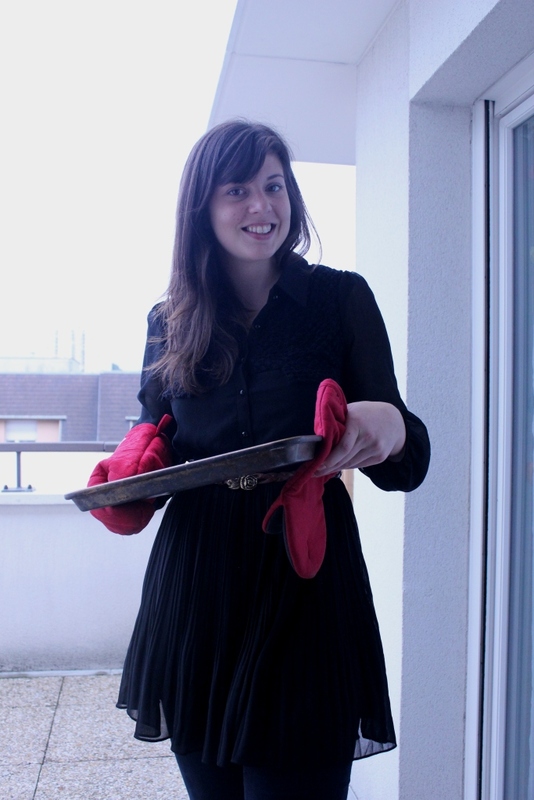 😉 One of the gorgeous chefs with the tart crust we cooled outside on the patio. 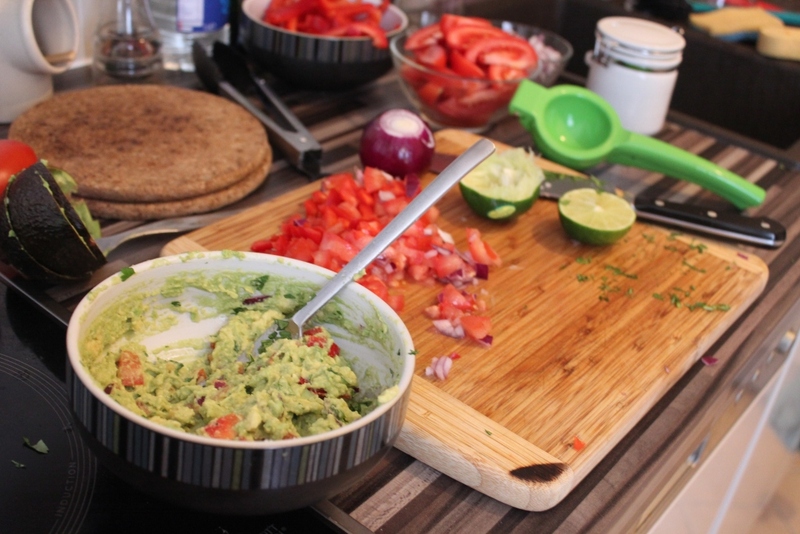 Mexican Fiesta #3 –> Pronto! I want to make enchiladas! tehe! I love that sweater… wore it yesterday! haha! I can’t believe you can find fresh corn tortillas in Paris! I am so so so jealous. 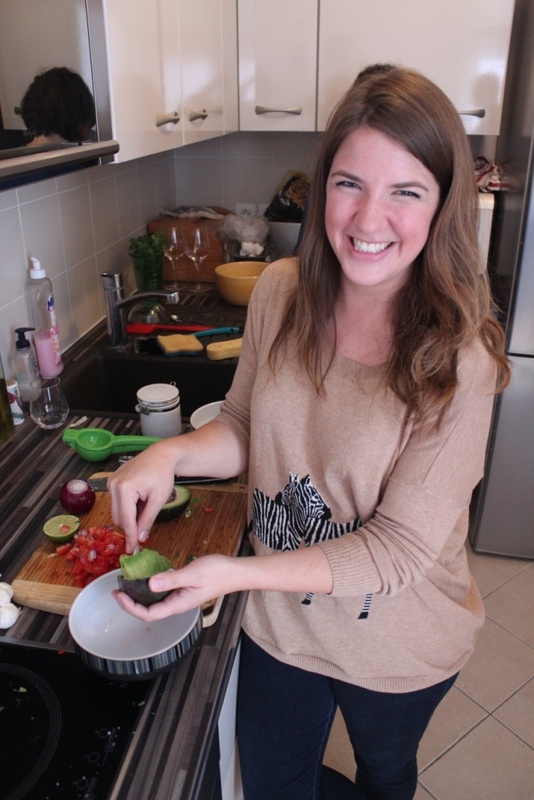 Cooking Mexican fiestas in Germany is my absolute favorite and everyone goes crazy for the food! Aw man, how I miss Mexican food! So much trouble finding black beans AND jalapenos! Everything looks fab! Crazy right! They just started it this year! I’ve actually made my own flour tortillas too because the ones from the store are so terrible. haha! omg I know!!! There’s a couple (2..) good Mexican food places that I’ve found here. Black beans are impossible to find and yes! Jalapenos!! Apparently the place where we got the tortillas carries them! A little bit pricey but at least we know where to find them!